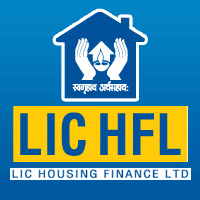 LIC Housing Finance Ltd – LIC HFL Recruitment 2019 scheduled for the post of Direct Marketing Executive at Across India. The detailed eligibility criteria and application process are given in below. Metro Centres: Mumbai including Navi Mumbai, Thane & Panvel, Pune including Pimpri & Chakan, New Delhi including NCR, Bangalore, Hyderabad, Chennai, Kolkata & Lucknow. The shortlisted candidates, based on the merit as decided by the Company, will only be called for the Personal Interview. Successful candidates will be intimated through their registered Email ID. How to apply LIC HFL Recruitment for DME? All interested and eligible candidates can apply for this positions through online by the following link as soon as possible.